There are reasons top companies engaged in the semiconductor and electronics industries rely on Brewer Science products for their advanced nodes; our promise is to ensure that products supplied by Brewer Science are the most reliable and consistent in the industry. Manufacturing excellence is a core competency at Brewer Science, where our state-of-the-art, scalable facilities sustain customers’ current and future technology needs. This includes especially keen emphasis on every aspect of our materials and products in supply chain, R&D, quality engineering, analytics, manufacturing and support. With each of our manufacturing centers strategically placed on separate power grids and natural environmental risk zones, Brewer Science ensures that our customers receive an uninterrupted supply of product. A well-planned and well-executed business continuity strategy is a cornerstone of our manufacturing excellence, being one of the ways that we support our customers’ sustainability goals. Contaminants in integrated circuit processing have to be less than the sub-part-per-trillion level. One part per trillion is the equivalent of a quarter in the city of Chicago. Maintaining a cleanroom environment that meets the strict requirements of the semiconductor industry can be difficult. 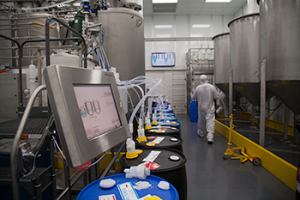 The constant threat of contaminants generated by the manufacturing processes that take place in the cleanroom, by the cleanroom personnel, and by the stream of equipment and materials brought into the cleanroom environment, is a challenge that Brewer Science has successfully addressed with critical designs, processes, and protocols. As a leading technology innovator and manufacturer, Brewer Science is here to help with the world’s semiconductor and micro- and nano-electronics needs. For more information email us at: info@brewerscience.com. 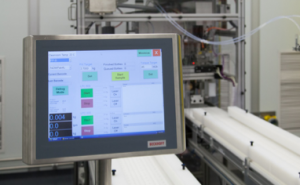 Learn how Brewer Science amped up production volume and reduced waste through an on-demand IndustryWeek-hosted webinar!